Effect of excision margins on overall mortality. A, Pooled odds ratio (OR) with forest plot of ORs for overall mortality. B, Funnel plot of the overall mortality data from individual trials. CI indicates confidence interval; MSG, Melanoma Study Group; SE, standard error; WHO, World Health Organization. Effect of excision margins on locoregional recurrence. A, Pooled odds ratio (OR) with forest plot of ORs for locoregional recurrences. B, Funnel plot of the data on locoregional recurrences extracted from individual trials. CI indicates confidence interval; MSG, Melanoma Study Group; SE, standard error; WHO, World Health Organization. Effect of excision margins on local recurrence. A, Pooled odds ratio (OR) with forest plot of ORs for local recurrence as first relapse. B, Funnel plot of the data from individual trials evaluating local recurrence as first relapse. CI indicates confidence interval; MSG, Melanoma Study Group; SE, standard error; WHO, World Health Organization. Objective To determine the effectiveness of wide vs narrow excision margins in the treatment of primary cutaneous melanoma. Data Sources We conducted a search of MEDLINE and the Cochrane Controlled Trials Register as well as a manual search of the reference lists of all relevant papers. No language or date restrictions were applied. Study Selection Only prospective randomized trials were included. Data Extraction Two reviewers independently extracted the data from each study. Outcomes evaluated were local and locoregional recurrences and overall mortality. Data were analyzed using Cochrane Collaboration Review Manager software. Data Synthesis Five randomized trials comprising 3313 participants were retrieved and analyzed. Pooled data showed no statistically significant difference in overall mortality when comparing wide vs narrow excision margins (odds ratio, 0.98; 95% confidence interval, 0.72-1.22; and test for overall effect of P = .88). There was no statistically significant difference in the occurrence of locoregional recurrence between 2 groups of patients (odds ratio, 1.18; 95% confidence interval, 0.98-1.41; and test for overall effect not significant at P = .08). Although statistically significant heterogeneity was not detected among included trials, there was considerable clinical heterogeneity. Conclusions Although this meta-analysis did not show any statistically significant difference between patients treated with wide or narrow excision margins insofar as overall mortality and locoregional and local recurrences, current evidence is insufficient to address the optimal excision margins for all types of melanomas. Further research is required to establish the appropriate local treatment for different types of primary melanoma and subgroups of patients. We previously carried out a meta-analysis of 4 randomized trials6 and showed that there is no statistically significant difference in recurrences and disease-free and overall survival between patients treated with narrow excision margins vs patients treated with wide excision margins. Although the results from our previous meta-analysis provided further evidence that excision margins (>1 cm) have no effect on disease-free survival or overall survival in patients with melanomas less than 2 mm thick, pooled data were insufficient to address the optimal surgical management for all melanomas. Recent publication of the United Kingdom Melanoma Study Group and the British Association of Plastic Surgeons randomized trial comparing 1- vs 3-cm excision margins for cutaneous malignant melanoma with a Breslow thickness of 2 mm or greater reopened the discussion about surgical margins in melanoma.7 Another large study conducted in 9 European centers examining excision margins in melanoma was also reported in 2003.8 The present study provides an updated meta-analysis of 5 published prospective randomized trials evaluating the effect of width of excision margins on survival of patients with melanoma and on the development of melanoma recurrences. We included only randomized controlled trials that evaluated excision margins in the resection of primary cutaneous melanomas. Trials had to be carried out with 2 arms, one using the narrow excision margin and the other using the wide excision margin. Patients had to have histologically confirmed cutaneous malignant melanoma with no evidence of metastases in regional lymph nodes or at distant sites (stages I and II according to American Joint Committee on Cancer staging criteria). We conducted sensitive electronic searches of the MEDLINE (1966 to May 2006), EMBASE (1974-May 2006), and Cochrane Controlled Trials Register databases, using the recommended Cochrane Collaboration search strategy with Medical Subject Headings (MeSH) “melanoma,” “excision,” and “margin,” including all subheadings. We reviewed the reference lists of all relevant articles found in the searches, as well as those of review articles and textbooks, to disclose other relevant articles. We also manually searched selected conference proceedings. When possible, we contacted the authors of the trials to verify the data and obtain additional unpublished data. No language or date restrictions were applied. Two reviewers (M.B.L. and V.B.) independently extracted the data from each study, and any disagreements were resolved by consensus discussion. Main outcomes of interest were local and locoregional recurrences and overall mortality. A meta-analysis of pooled published data from included trials was performed using Cochrane Collaboration Review Manager software (RevMan 4.1; Nordic Cochrane Centre, Copenhagen, Denmark). A pooled estimate of effects was produced by the DerSimonian and Laird (random effect) method, with results given as odds ratios and 95% confidence intervals.2 Tests for heterogeneity were used to test for gross statistical heterogeneity across all trials. Five randomized controlled trials were retrieved and analyzed.7-11 No unpublished eligible studies were identified. Details of included studies are given in Table 2. We combined the published data from 5 included randomized trials comprising 3313 participants, 1639 randomized to narrow excision margins and 1674 randomized to wide excision margins. Three randomized trials (WHO,12 Swedish,15 and European8 trials) examined melanomas up to 2 mm thick, the Intergroup Melanoma Trial14 was conducted on melanomas up to 4 mm thick, and the British trial7 included only melanomas 2 mm thick or greater. In our pooled analysis, 2200 patients, therefore, had tumors less than 2 mm thick, which represents 66.4% of the pooled data. The main outcome measures were overall mortality at the end of follow-up and local and locoregional recurrences as first relapse. None of the 5 trials demonstrated a survival advantage for wide excision margins compared with narrow excision margins. In the pooled analysis, there were 796 deaths, 393 in the groups with narrow excision margins and 403 in the groups with wide excision margins. In the random effects model, the pooled odds ratio was 0.99, with a 95% confidence interval of 0.85 to 1.17, and the test for overall effect of z = 0.08 and P = .93. Therefore, overall mortality was not significantly improved by performing wide excision margins in the surgical treatment of primary cutaneous melanoma (Figure 1). The χ2 test for heterogeneity did not detect statistically significant heterogeneity among trials (P = .16). For locoregional recurrences, only 1 included study comparing wide vs narrow excision margins showed a borderline statistically significant difference (P = .05) in locoregional recurrence rates, with a lower prevalence of locoregional recurrences in the wide excision margin group.7 However, using the pooled data and analyzing with the random effects model did not show a statistically significant difference in the prevalence of locoregional recurrence between the 2 groups (odds ratio, 1.18; 95% confidence interval, 0.98-1.41). The test of overall effect was z = 1.75 and P = .08. The χ2 test for heterogeneity did not reveal statistically significant heterogeneity among trials (P = .83) (Figure 2). The incidence of local recurrence in patients having wide excision margins vs patients having narrow excision margins was not significantly different in any of the included studies. However, the definition of local recurrence varied among the 5 studies. In the WHO trial,12 local recurrence was defined as cutaneous or subcutaneous nodules that appeared along or within 1 cm of the surgical scar. In the intergroup,14 United Kingdom,7 and European trials,8 local recurrence was defined as a pathologically documented melanoma metastasis that recurred within 2 cm of the surgical scar or graft. The Swedish Melanoma Study Group15 defined local recurrence as occurring in the scar or skin transplant. Using the pooled data, local recurrences as the first relapse were recorded in 52 patients, 26 each in the wide and narrow excision groups. The pooled odds ratio was 0.93, with a 95% confidence interval of 0.42 to 2.08, and the test for overall effect z = 0.17 and P = .86. The χ2 test for heterogeneity was not statistically significant (P = .24) (Figure 3). The meta-analysis, therefore, failed to show a statistically significant difference in local recurrences when comparing wide vs narrow excision margins. This meta-analysis from 5 randomized controlled trials examining the value of wide excision margins vs narrow excision margins in melanoma published as of March 2006 confirmed that there is no statistically significant difference in overall mortality or rate of local recurrence as first relapse between patients treated with wide excision margins vs those treated with narrow excision margins. Although only 1 study included in this quantitative review showed a borderline statistically significant greater risk (P = .05) of locoregional recurrence in patients treated with narrow excision margins,7 results from our meta-analysis failed to demonstrate a statistically significant difference in the risk of developing locoregional recurrences when comparing wide excision margins vs narrow excision margins. Several methodological issues should be raised when discussing the results of the pooled analysis. In the absence of the raw data for any of the trials included in this meta-analysis, we were constrained to limit the meta-analysis to published data only. Although no statistically significant heterogeneity was detected between the individual studies included in the meta-analysis, there was significant clinical heterogeneity between included trials. Trials included patients with different stages of disease, follow-up periods varied, the definition of narrow vs wide excision margins differed, and the definition of local recurrences was not consistent among trials. 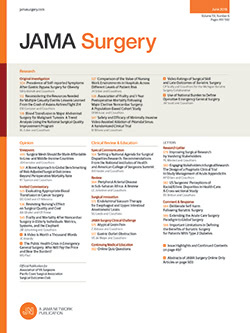 Although our meta-analysis shows that width of surgical margins does not influence the development of local recurrence, because there was a considerable difference in the duration of follow-up and the definition of local recurrence among studies included in this analysis, the interpretation of the pooled data on local recurrence may have limitations. Because all randomized trials used at least 1-cm margins, this meta-analysis provides sufficient evidence to confirm that if the margin is at least 1 cm, it no longer affects the risk of local recurrence. Furthermore, the thickness of melanomas included in the randomized trials varied significantly. Most patients included in the pooled analysis (66.4%) had melanomas less than 2 mm thick (Breslow criteria); therefore, our data give good evidence that excision margins wider than 1 cm for tumors with less than 2-mm Breslow thickness have no influence on survival in patients with melanoma, whereas the role of margins wider than 1 cm in melanomas greater than 2 mm thick is still weak. Although Piepkorn and Barnhill21 recommended surgical margins of 1 cm for melanomas of all depths, a 1-cm margin is widely accepted as adequate for thin melanomas (≤1-mm Breslow thickness).1,3-5 The recommended maximum margins for melanomas between 1 and 4 mm is 2 cm.22 There is still debate about the safety of 1-cm margins for melanomas with a Breslow thickness of 1 to 2 mm, especially those that are ulcerated. Two of the 5 large randomized trials defined narrow margins as 1 cm and did not show any advantages to wider margins; thus, 1 cm may be a safe margin for these tumors. This is what is recommended by the WHO1 and Australian4 groups. For melanomas greater than 2 mm in diameter, only the Australians recommend a 1-cm margin; other groups suggest that a 2-cm margin is advisable for these tumors (Table 1). Inasmuch as only 33.6% of all patients from the 5 trials included in this meta-analysis had melanomas more than 2 mm thick and the definition of narrow margins was at least 2 cm from the pooled analysis, it is advisable to continue to recommend 2-cm margins until more data are available on the safety of 1-cm margins in a large group of patients with melanomas more than 2 mm thick. Minimum margins necessary for thick melanomas (>4 mm) remain unclear. No randomized trial included only melanomas thicker than 4 mm. Thus, current published data including this meta-analysis do not provide sufficient evidence to recommend an optimal surgical treatment for melanomas more than 4 mm thick. The WHO, Australian, and Dutch guidelines on the treatment of cutaneous melanoma recommend 2-cm excision margins for these tumors. In the United Kingdom, because these tumors have a particularly high recurrence rate, many surgeons recommend 2-cm or greater excision margins (Table 1).3 However, some authors suggest that tumor thickness should not influence excision margins.23 More data will need to be collected on these thick tumors to assess the role of wide excision margins. To our knowledge, there is no randomized trial evaluating surgical treatment for subtypes of melanoma (eg, in situ melanomas, lentigo maligna melanomas, acral lentiginous melanomas, and desmoplastic melanomas). Thus, there are no established guidelines for the surgical management of these lesions. The rarity, the site, and the different biological behavior of these lesions makes agreed guidelines for the management of these lesions difficult. Although most primary melanomas can be treated by use of recommended margins, there are a few exceptions in which special anatomical or functional requirements should be considered, especially when treating melanoma on the head, neck, hands, and feet or melanomas larger than 2 cm in diameter. Although it has been suggested that Mohs micrographic surgery may be an alternative choice that will minimize tissue sparing and excision margins,24 there is no sufficient evidence to justify the use of Mohs surgery in treating melanomas, including those arising on the head and neck and the distal extremities. Trials demonstrated that narrower margins reduced the necessity for skin grafting (in the WHO Melanoma Programme trial 1612 by 75%), duration of hospitalization, and morbidity associated with the procedure. No data were collected in any of the trials on the physical and psychological morbidity associated with the mode of surgery. Future trials should examine how excision margins affect patient quality of life. This meta-analysis provides good evidence that excision margins of 1 cm or greater have no effect on overall mortality and development of locoregional metastases in melanomas less than 2 mm thick. Optimal surgical management of melanomas more than 2 mm thick remains unclear, as does local treatment of certain types of melanomas and some subgroups of patients. Further research is required. Correspondence: Marko B. Lens, MD, PhD, King's College, Genetic Epidemiology Unit, St Thomas' Hospital, Lambeth Palace Road, London SE1 7EH, England (markolens@aol.com). Accepted for Publication: September 19, 2006. Author Contributions: Dr Lens had full access to all of the data in the study and takes responsibility for the integrity of the data and the accuracy of the data analysis. Study concept and design: Lens and Bataille. Acquisition of data: Lens. Analysis and interpretation of data: Lens, Nathan, and Bataille. Drafting of the manuscript: Lens. Critical revision of the manuscript for important intellectual content: Lens, Nathan, and Bataille. Statistical analysis: Lens. Administrative, technical, and material support: Lens. Study supervision: Lens, Nathan, and Bataille.